Samsung was teasing its Galaxy ‘M’ series phones from quite some time, and today, the company finally launched the Samsung Galaxy M10 and the Galaxy M20 in India. Both are aimed at the budget and the lower-midrange market in India. We were expecting the Galaxy M30 to launch as well, but it looks like that’s coming later this year. Anyways, Samsung has launched some really good phones in this price segment after a long time. Starting with the cheapest of the two, the Galaxy M10. 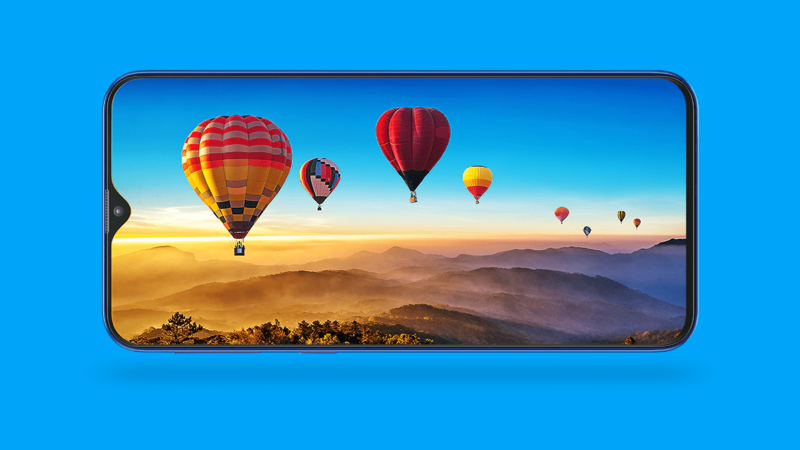 It is a sub Rs 10,000 phone from Samsung that features an Infinity-V display which means there is a waterdrop notch. There are very thin bezels on the top, and the sides and the phone also has a small bottom chin. The Samsung Galaxy M10 is the cheapest phone right now in the Indian smartphone market to feature the waterdrop notch, so that’s great. Talking about that screen, it is a 6.22-inch HD+ display with an aspect ratio of 19:9, thanks to that notch. Also, the phone has around 90% screen to body ratio, so that’s also the first for any phone at this price. The company, at the launch event, didn’t say anything about display protection, so we doubt if the display has any Gorilla Glass protection. The Galaxy M10 has an octa-core 1.6GHz Samsung’s Exynos 7870 processor which is a pretty old processor, but at this price, it is very much comparable to the Snapdragon 625 which is again, impressive. There were rumors of the Exynos 7872 but looks like Samsung wants to finish the old stock first (Just kidding!). There is 2GB and 3GB RAM options along with the 16GB and 32GB storage options. There are dual cameras on the back that include a primary 13MP f/1.9 camera and a secondary 120-degree wide-angle 5MP f/2.2 camera. Again, this is the first time we have a phone at this price with a secondary wide-angle camera since most of the phones with dual cameras at this price have a secondary depth-sensing camera. On the front, the Samsung Galaxy M10 has a 5MP f/2.0 camera with Selfie focus (Portrait Mode). The Galaxy M10 come with Android Oreo out of the box with the Samsung Experience 9.5 on top that is optimized specially for the Galaxy M series phones. According to recent rumors, the Pie update will arrive in August this year. The battery underneath is a 3,400mAh unit that doesn’t support fast charging, and the phone has a micro USB port. The phone doesn’t have a fingerprint scanner but has face unlock. Also, it is a sub Rs 10,000 phone from Samsung so it has a plastic build. The two color options are Charcoal Black and Ocean Blue. 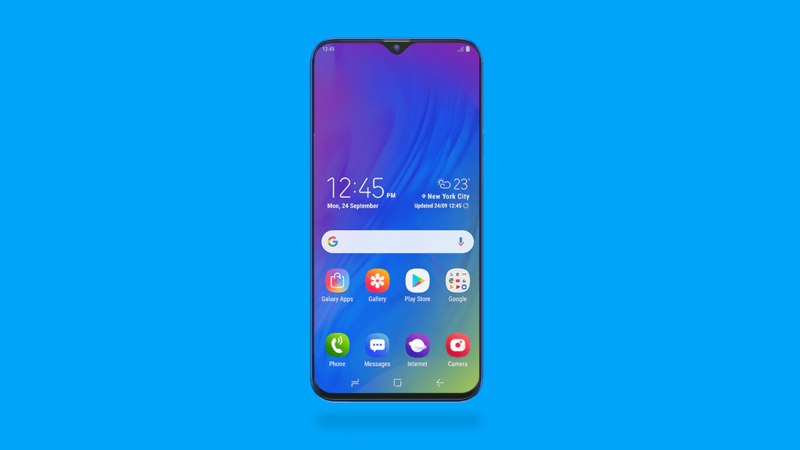 The Samsung Galaxy M20 might be a phone that you should go for if you want a solid phone from Samsung at a budget price segment. There is a glossy back panel (not glass), and so it’s not a phone having a metal build. One of the interesting things about the Samsung Galaxy M20 is a USB Type-C port that is placed on the bottom along with the headphone jack and the speaker grill. This is something we see on a very few phones at this price segment. 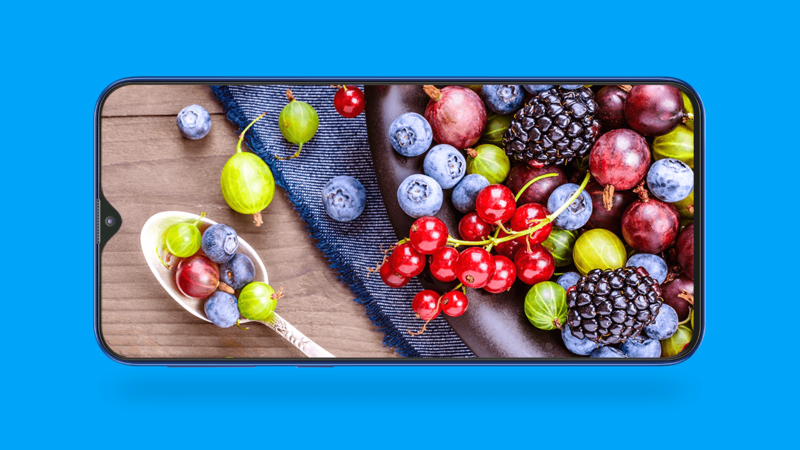 The Galaxy M20 has a slightly larger screen than the M20 as it is a 6.3-inch panel, but the resolution is bumped up to Full-HD+ (2340 x 1080). The phone has a smaller bottom chin than the Galaxy M10 due to which the aspect ratio of 19.5:9. The screen-to-body ratio is more than 90%. Recently, the Exynos 7904 was launched, and the Galaxy M20 comes with the same processor. It is not an upgrade to the Galaxy 7885 since most of the specs remain the same and that’s something we have talked about in our article in which we covered the Exynos 7904. Still, considering the price, this is a processor that lies between the Snapdragon 636 and 660 regarding the processor. The phone has 3/4GB RAM and 32/64GB ROM. The dual camera setup on the back remains the same as M10 i.e., a primary 13MP f/1.9 camera and a secondary 5MP f/2.2 wide-angle camera with 120-degree FOV. The front camera is an 8MP unit with f/2.0 aperture, and it can shoot portrait selfies (Selfie focus). Coming to one of the highlights of the M20, the battery. The phone packs a massive 5,000mAh battery. Moreover, it supports 15W Fast charging via the USB Type-C port. So, that’s again something most of the phones with big batteries in this price segment lack. The phone has a fingerprint scanner, something that’s not there on the M10. 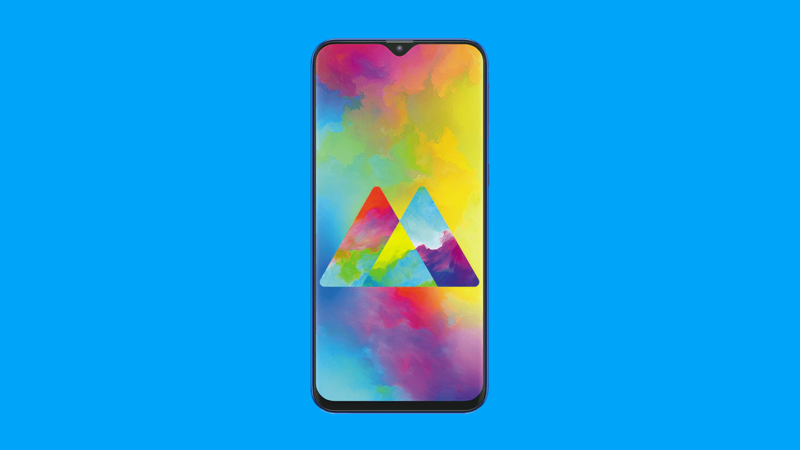 The Samsung Galaxy M20 also comes in two colors – Ocean Blue and Charcoal Black. Both the phone will go on sale on February 5th and are exclusive to Amazon India and Samsung’s official website.